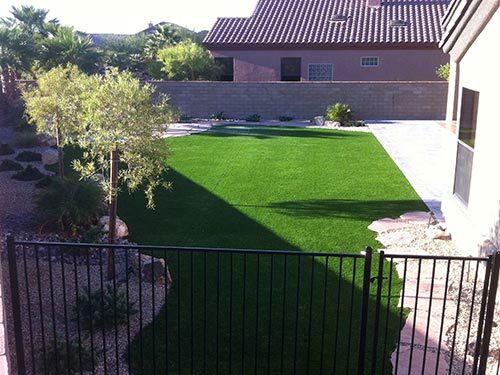 Specializing in landscaping design and construction. 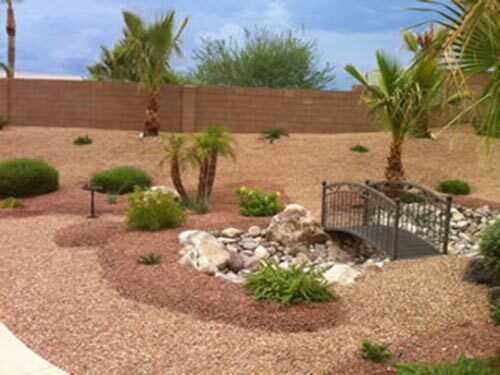 With a specific focus on drought-tolerant native plants, irrigation systems, retaining walls, water features, landscape lighting, including shade and privacy structures for outdoor living spaces. 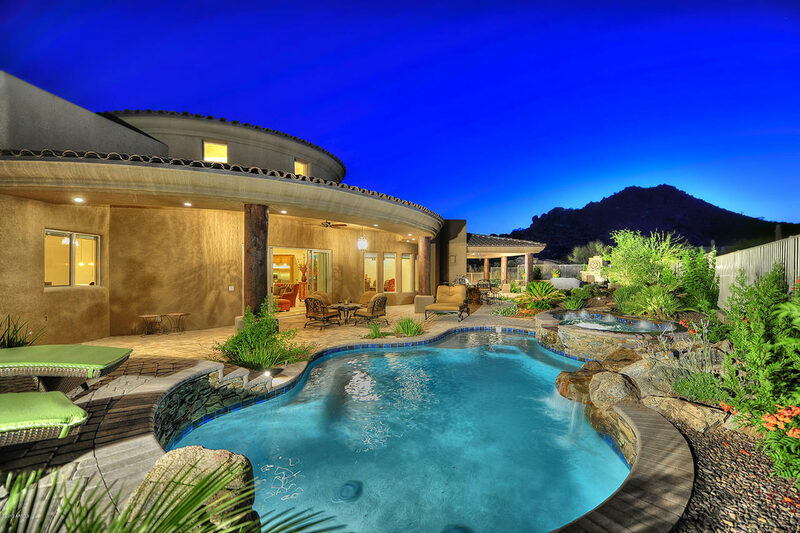 options to ensure your pool blends seamlessly with the surroundings, and manage the entire project from start to finish.Our commitment to you is not complete until our staff takes you through a walk through of your project and educates you on maintaining your new landscaping. 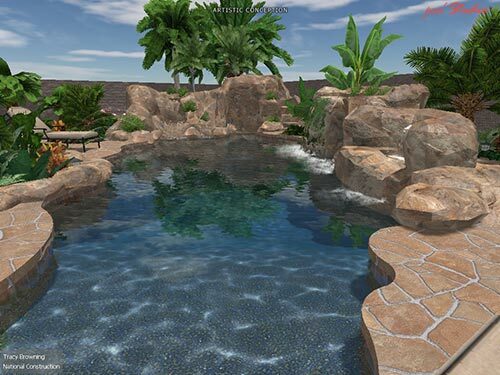 We proudly use Pool Studio, the industry leader in professional 3D design software. With Pool Studio’s one of a kind, interactive 3D presentation. 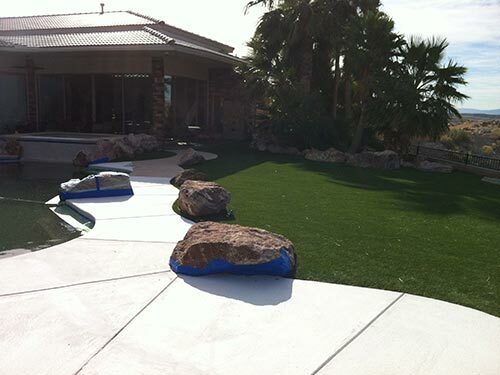 You will be fully immersed in your future backyard. 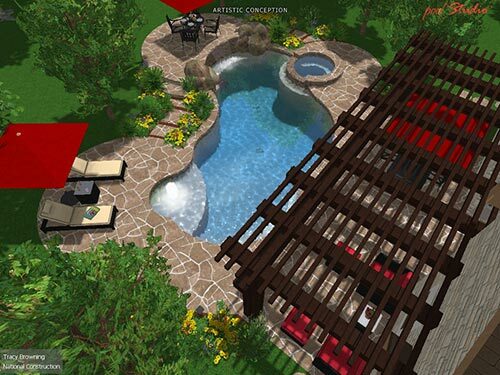 You will be able to see every detail in real time 3D to clearly and accurately experience the layout of your new backyard. 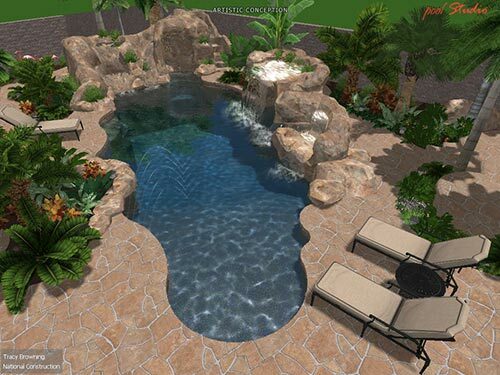 Design choices that are hard to imagine such as the surface and color and the pool interior come to life in full color 3D making it easy to choose. This gives you the confidence that even the smallest detail is perfect before any construction ever begins. See it first with the power of Pool Studio and make your choice with confidence. 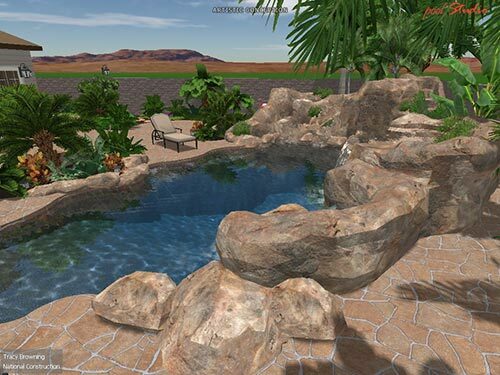 The in house design team uses 3D software for landscape presentations. 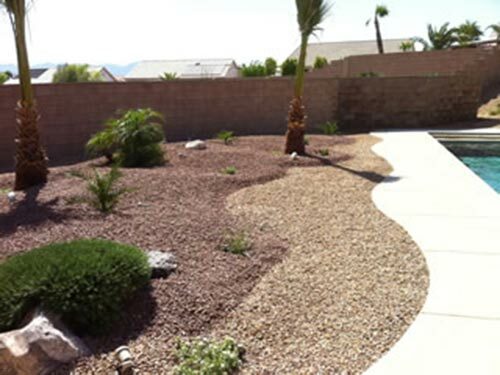 Easily allowing for customers to change details concerning placement of trees, shrubs, boulders, walkways and fountains. Viewing the artistic presentation design before any commitments are made is our advantage to our customers.